Top 9 Back to School Tips for Parents. Children brought up in a loving family environment, tend to not really want to go back to school after the long summer holiday. It’s a lovely time when parents and children can spend quality time together and bond. Even if both parents work, they usually find some time over the summer to have quality family time together. Schooling, with its long, days and organised demanding schedule is very different from the relaxed summer holiday life. 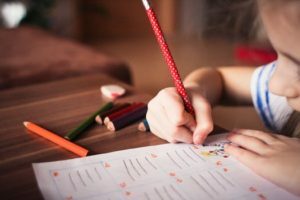 Most children are absolutely fine going back to school, but parents must be aware that for some children it can be extremely challenging returning to school, even to the point of anxiety. Children who are more introverted by nature, who may find it harder to make friends and socialise, or those who may have learning difficulties and may struggle to keep up with the class may be more reluctant to return to school. Unfortunately, many of these learning difficulties can go undiagnosed and children may suffer mentally due to them. Parents need to show a lot of patience, love and encouragement when children return to school. 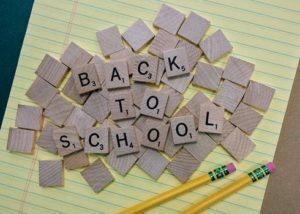 Here are top 9 back to school tips for parents to help their child adjust going back to school. Parents can model confident and calm behaviour, our energies and states can be felt by those around us, including our children. To ensure our children are calm and confident, we should be excited about them returning to school and talk about school in a positive way, to encourage children to feel confident about school. It is important to get back to a routine and bedtime schedule a week prior to returning to school, if you are unable to get into a routine a week prior, then at least a few days, to allow the child’s body to adjust and for them to be able to wake up fresh for school. Always allow your children to express their feelings, and never get upset by what they say or become judgemental. Children need space to express themselves in a non-judgmental environment. If you do not agree with something they say, allow them to express themselves, without any anger, and then speak to them about it. Sometimes it’s may be better to let the child speak and say you have heard them and will talk to them about it later, which gives them a chance to calm down. It’s important for parents to always see how they react to their children, and take a step-back before speaking. If a child is angry and frustrated and communicates in anger, the parent should think about this emotion and ensure they do not meet anger with anger, but meet it with calm. An angry child will pick up energies of the parent and anger meeting anger will escalate the communication problem and not allow the child to express what they really wanted to say. Always keep lines of communication open, as children grow into teens, they may be more reluctant to express themselves, their concerns and how they feel. If communication is open from a young age, they will continue to communicate into their teens, this helps to prevent stress and anxiety disorders such as low-self-esteem, lack of confidence and depression. If a parent is rushing around in the morning, the kids will also feel this tension. It helps to work with the children on the previous night to have their school clothes, ready, ironed and laid out. Encourage children to iron their clothes as soon as they are capable, so they learn these skills from a young age. Children can easily start to iron their clothes from as young as 8 if they are careful and initially supervised, although it depends on the maturity of the child. But many parents feel children are too young for responsibility and spoil them to their own detriment. Ensure they pack their school bags the night before with everything they need. Don’t spoon feed them, as this will be detrimental to their long-term development. Speak to the teachers if you have any concerns. Even though the teacher doesn’t know the child well at the start of the school year, you should still express any concerns about the child returning to school. 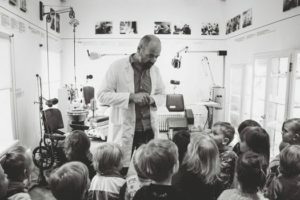 Remember a teacher has a class of around 30 children, with all different temperaments, personalities and abilities, so they may not notice little things. Don’t be hesitant to speak to the teacher to keep an eye on your child, you can’t expect a teacher will always notice things, especially if your child is quieter and the teacher may get more attention from the less well-behaved children. Do not be tempted to help their children with all their homework, but encourage them to try and work things out themselves to aid their problem-solving abilities. Many parents, want their children to do well and help with their homework, to the detriment of the child actually learning. Create a study space, in their bedroom, living or dining room. This doesn’t necessarily have to be their own desk, maybe even the dining table, but a place they can work at a set time. Ensure distractions in the house are at a minimum. If your child is struggling with a particular bit of work, make a note of it then go over that topic on another day to reinforce their learning. You can easily use Google and YouTube online to find information about the topic if you have trouble understanding it yourself. There are also free online placed for learning such as Khan Academy. If you know your child is working on a particular topic at school, you can supplement their studies by discussing the topic, or bringing books or finding things online they can use and research. Remember that each child develops at a different rate. Parents, especially those with younger children, worry if their child is developing at the right pace, some are too relaxed, while others are too strict. Allow children enough space to progress in their education and learning journey at their own pace, childhood should be a place of fun even while learning. After all, the Prophet saw advised to play with children for the first 7 years of their life; teach them for the next 7 years; then advise them for the next 7 years. It is important to limit screen time before children go to sleep. This is a huge topic in itself. If your children play on these devices, get them off any electronic items an hour prior to bedtime. Set a specific game time/routine, so they can-not argue with it. 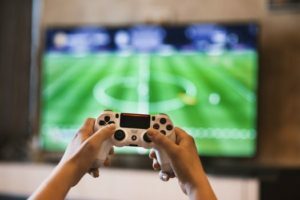 Studies by Flinders University have shown that the light emitted by these things has a detrimental effect on their sleep patterns and adversely affect sleep, the study tested 17 teenage boys who played violent video games for approximately an hour to just over 2 hours before going to sleep. 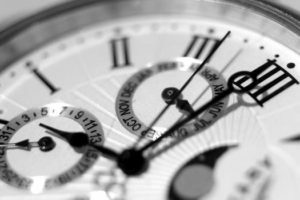 It showed a delay in total sleep time and they experienced sleep disruptions throughout the night and frequent awakenings. The deeper REM sleep, known as the dreaming state was reduced by 12 minutes. Although this may seem little, the REM sleep is actually a crucial part rejuvenating sleep which also aids memory retention. Playing video games before sleep can actually cause your body to produce less melatonin. Melatonin is used to regularly sleep cycles and this was likely due to the blue light emitted by screens which as shown to affect melatonin. Surprisingly, even Bill Gates and Steve Jobs raised their children tech-free, despite being the founders of IBM and Apple! Parents should pray for their children daily, even offer 2 rakah nafl daily for your children, to protect them from bad friends, calamities and to strengthen their learning and mind to benefit others in the future and to keep them on the deen. May your children be blessed with good and tawfiq (sucess) throughout their lives and the next and a very successful and happy school year.